All-America Selections, in a new partnership to benefit retail garden centers, now has AAS Winners featured in The Perfect Plant’s website and in-store kiosk plant database. Have a customer searching for a pink flower to plant in a container on a partially-shady patio? 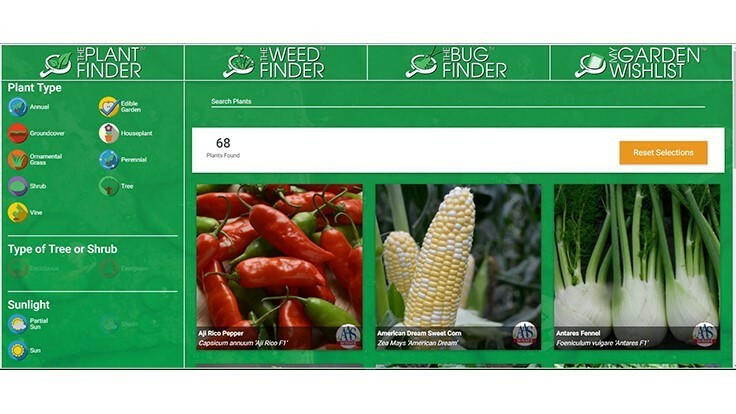 Find the perfect AAS Winner on The Perfect Plant using their keyword search. This quick and easy-to-use resource puts a retailer’s inventory at a customer’s fingertips. What this means for retailers is that their customers can now use an interactive visual resource to easily find the perfect AAS Winner for their gardens. Whether searching by category, sun needs or keywords like edible, container garden, etc. the AAS Winners that meet the customer’s criteria will pop up as available for purchase along with suggested products the retailer recommends. To find out more about new marketing initiatives available with All-America Selections, visit their websiteor contact Diane Blazek. To learn more about The Perfect Plant you can visit their website or contact Ken Klopp by email or by phone at 970-646-5183.